To celebrate the programme’s 65th anniversary BBC Radio 2’s (and the world’s) longest running orchestral music show – Friday Night is Music Night comes to Alexandra Palace for a very special celebratory edition. Friday Night is Music Night was first broadcast on Friday, 25th September 1953 on the BBC Light Programme. The same year saw the Queen’s Coronation; the Conquest of Everest and the end of sweet rationing. The likes of Nat King Cole, Guy Mitchell and someone called Jimmy Young dominated the pop charts that year. The programme’s brief was and still is “to create a Friday-night show which would help people relax after the week’s hard work and put them in the right mood for a happy weekend”. 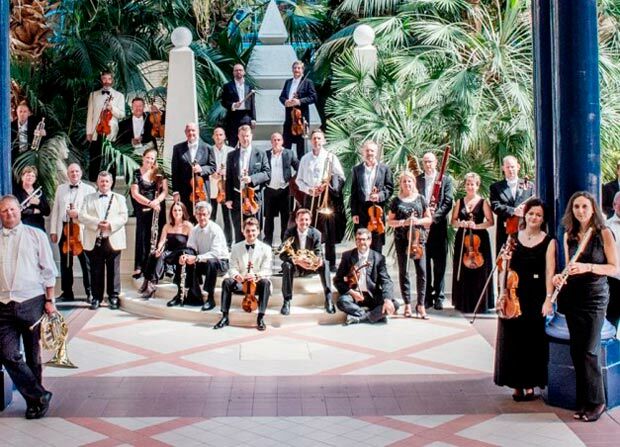 With the BBC Concert Orchestra as it’s backbone, the heady mix of classical and popular works, film music, songs from the shows, opera and operetta has entertained millions of audiences across the globe. Come along and help us celebrate 65 years of music making with a dash of Christmas thrown in! Ken Bruce is the presenter with special guests and, of course, the BBC Concert Orchestra conducted by Richard Balcombe.